All college-bound students face the common challenge of finding the financial resources to pay for their post-secondary education. Few students are in a position to fully fund their college stay through personal savings and family contributions, and will require some level of financial assistance. Scholarships and grants can definitely help with tuition costs, but not all students will qualify for an award, and even those that do are often left with significant unmet need. That’s where student loans come into play. Resident students in Indiana will find help with their search for college loans through the Indiana Secondary Market for Education. The ISM works with Indiana’s resident students and their parents to plan a successful financial strategy for college that includes grants, scholarships, Federal student loans, and private student loans. The Indiana Secondary Market for Education (ISM) was established in 1980 to help the state’s resident students plan for college. Sanctioned by the Indiana state legislature, ISM’s main focus is on helping students and their parents to find the most affordable and accessible college funding available. ISM acts as an intermediary between students and potential lenders. ISM helps college-bound students in Indiana navigate the often murky waters of college loans, and helps to match them with the best loan program for their situation. Through ISM, students can apply for Federal student loans, as well as a wide variety of state authorized private student loans. While the Federal government should always be the first choice of lender when it comes to college loans, many students may find that even with a government loan they are still left with some degree of unmet need. Private lenders are there to make up the difference, by offering eligible students the necessary loans they need to complete their college funding. Through the ISM Student Loan Marketplace, the Indiana Secondary Market for Education helps to put students and their parents in contact with state authorized private lenders who offer education loans to Indiana residents. These lenders have developed student loan programs that have been specifically designed to suit the needs of college-bound Hoosiers, and have been endorsed by the state of Indiana. Every lender sets their own unique repayment terms for their student loans. Again, Federal loans carry the lowest interest rates, and offer the most flexible repayment plans of any student loans on the market. Federal student loans typically offer interest only payments while the student is enrolled in college, and six month loan deferments following graduation, at which time full repayment must begin. Standard payment plans – Monthly payments are fixed across the board for the entire life of the loan. Graduated payment plans – Following any initial grace period, monthly payments will start small and gradually increase over the life of the loan. Extended payment plans – Borrowers may opt for low monthly payments over an extended period of time. However, students should understand that the longer the life of a loan, the higher its final cost due to accruing interest being added to the principal. Income sensitive payments – Some private lenders may offer to realign a borrower’s payment plan to better accommodate their income level. This option is generally only available to borrower’s who are experiencing a financial hardship and who have applied to their lender for a modification of their repayment terms. Repayment terms are set when the loan agreement is written, and student borrowers should understand their obligations before signing any loan contract. Some lenders may be willing to renegotiate terms if the borrower experiences difficulties meeting their obligations, but students should understand this only happens in extreme circumstances. Like it or not, most college students will have several outstanding loans by the time the graduate. In some instances, borrowers with multiple student loans may qualify for a consolidation loan. Loan consolidation allows borrowers to reduce their multiple monthly payments into a single, more manageable, monthly payment. To do this, a lender will pay off all of a borrower’s outstanding loans, including interest and penalties, and write a new new loan covering the revised amount. Students with two or more private lender loans may apply for a consolidation loan, either through their original primary lender or through a new lender. However, private loan consolidation is entirely contingent upon the borrower’s credit score and the lenders discretion. Students with multiple private loans may need to consult a number of different lenders before qualifying for a consolidation loan. Loan consolidation offers relief for many student borrowers who find themselves hard hit by the burden of college debt. However, students considering loan consolidation should understand that it may significantly increase the overall cost of their college loans. Student loans, both Federal and private, make it possible for hundreds of thousands of students to achieve their educational goals. 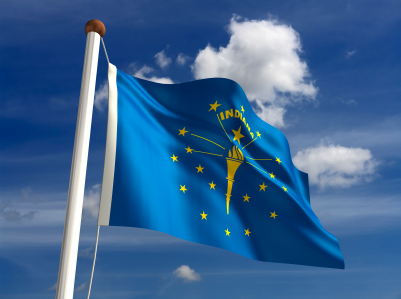 For students living in the Hoosier state, the Indiana Secondary Market for Education is their one stop shop for information on the Federal and private loans programs they need to help them finance their college education. Indiana residents exploring financial aid options for college should also refer to our section on Grants and Scholarships for Students in Indiana.